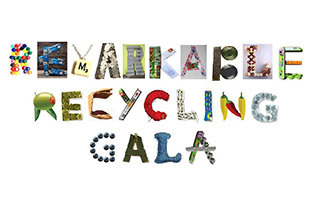 The Remarkable Recycling Gala is an annual one day festival which aims to highlight waste and recycling issues through art form such as crafts, workshops, music, and poetry. The gala has been running every year since 2014, and was the idea of Sherwood resident, Greg Hewitt. The 2018 Gala was organised for the fifth time with the support of Middle Street Resource Centre in Beeston, United Kingdom. The idea for the Recycling Gala came about through Greg Hewitt's passion for environmental activism and his hatred of waste and consumerism. After seeing many films and facts about the world's waste problem, Greg decided to act and found out about Sherwood Art Week, which is a great platform to combine art and Greg's passion for taking environmental action. A rich mix of recycled art and craft and recycling initiatives which highlights the issues surrounding waste. 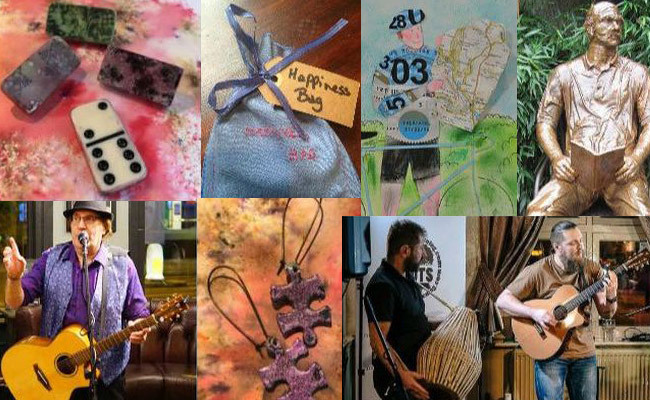 Since the first gala in 2014, numerous artists across Nottinghamshire have been part of it, and the Gala is a platform for showcasing the fantastic recycled art created throughout the area. Each year, more and more artists have found out about the Gala and each year, more people/artists are inspired to create recycled art. Evaluations from each event show that people who attend leave feeling inspired to take action on recycling. The Remarkable Recycling Gala, showcases how art and craft techniques can be used to create unique recycled products, encouraging people to reduce, reuse and recycle. The process is called upcycling – turning old products into new ones. An example of this technique is that of Sarah Turner, award-winning Nottingham-based artist known for her lighting and sculptures made from waste plastic bottles.